Christmas is a favourite time of the year for our family. We purposefully try to slow down our activities and make deliberate choices about what we do and don’t do so as to give us some extra time to enjoy this season. Our family also loves reading books and we have built up quite a selection of books for this time of year. Below is the list of books that our family has and still enjoys reading in the lead up to Christmas. Our top favourite that we read aloud every year is “The Best Christmas pageant ever” by Barbara Robinson. As we read it aloud, my kids laughingly complain that they can’t hear what I am saying as I am laughing so much. Families – do yourselves a huge favour and grab that book to read. The first chapter of “The Best Christmas pageant ever” has nothing to do with Christmas at all but sets the scene of this family of 6 kids (the Herdman’s) who are the town’s ratbags and come to accidentally be in the church’s nativity production. They have no idea of anything to do with Jesus so it is a refreshingly honest look at the whole birth of Jesus’ story and why each part eg what sort of a cheap present is it to give oil, were the Wise Men a bunch of dirty spies, why won’t anyone give them a bed so that Mary can have her baby, etc. We have tears in our eyes at the end at the beauty of what Imogene Herdman experiences as she plays the mother of this baby Jesus. I must confess that as soon as we read this book every year, my kids automatically want to read the rest of Barbara Robinson’s books as well – “The Best School Year Ever’ and ‘The Best Halloween Ever’. If your family needs more laughter in your day, grab Barbara Robinson’s books. If you are wondering where to find a particular book, I love using the website www.booko.com.au (if in Australia) or www.booko.com (if in America). Type in the name of the book and booko will show you all the different places you can buy the book, the price of the book plus the cost of postage to your home if needed. A great website to use as it lists them cheapest to expensive plus secondhand. We also love reading about the birth of Jesus and the lead up to that in the Bible and the Children’s Bible. Now days there are multiple versions of the Children’s Bible with fantastic pictures, so enjoy perusing them to find a copy that your family will enjoy. If you have a favourite Christmas book that your family loves reading at this time of year, please let me know as I love building up our collection of books to read specifically at this time of year. 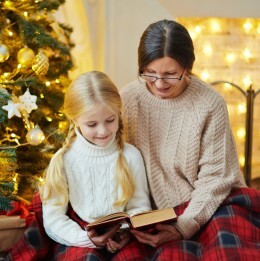 Thanks Jane for the ideas for Christmas reading, The Best Ever Christmas Pageant sounds like fun and I’m sure my granddaughter Izzy who has her head in a book most of the time, would love it! I’m guessing that book won’t be at Kooyong, where can we get it …maybe Collins. Thanks Jane, see you soon, Love Jill. Hi Jill. I have now amended the blog post to say that I look up http://www.booko.com.au (if in Australia) or http://www.booko.com (if America) and type in the name of the book I am looking for and it will show you where you can buy it and the cheapest places in the world – both the price in store or online and then with postage as well. “The best Christmas Pageant Ever” is a great family read aloud.